Alabama student and ESPNU Campus Connection reporter Marisa Martin deleted her Twitter account after making a joke about Wednesday night’s shooting at Florida State University. Three were wounded and the gunman was killed in the shooting. 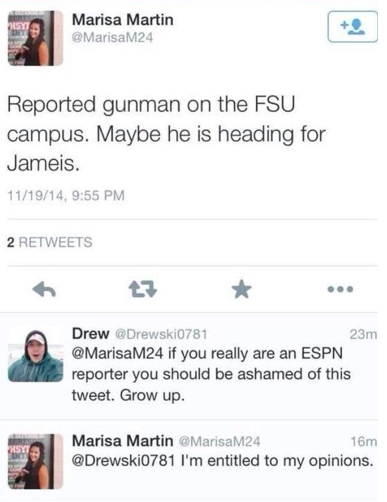 Martin tweeted, “Reported gunman on the FSU campus. Maybe he is heading for Jameis,” referring to Florida State quarterback Jameis Winston. ESPNU Campus Connection is designed to bring our viewers the latest from campuses around the country through student-generated content. With more than 150 schools participating, this program has brought informative, compelling and entertaining content to ESPNU studio shows, game broadcasts, espnw.com and espnu.com. 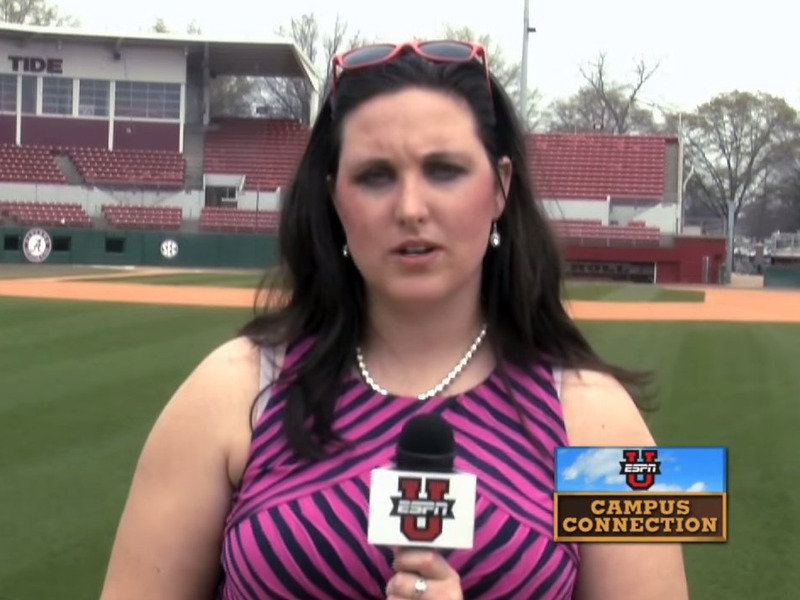 Students participate in live game broadcasts, submit video features, write articles and take an active role in select studio-based shows. In addition to the great content provided by students, ESPNU Campus Connection has also helped us find and develop talented people who could potentially work with our company. She’s just a college student, and this will be a valuable lesson in the destructive power of social media. The takeaway: don’t tweet.